‘Tis my opinion that unplanned surprises are often times the sweetest. The question has been posted on this blog if C. and I were going to try for another baby; a sibling for my sweet pickle, Lila Ross. We absolutely wanted to give it a whirl. We know what a gift siblings are and that we absolutely would want Lila to grow up with a counterpart. I mean, as she gets older she’s going to need to vent to someone about how crazy we are. We figured we’d start trying after Lila was a year old and would take into account how long it took us to have our first child. We already figured we’d give clomid a shot again, since it just so happened to work for us pretty darn well the first time. I had reservations about starting to try again. Infertility runs so very rampant today; especially secondary infertility and I think having gone through a bit of a struggle once and having witnessed the struggles of others, I am and will always be especially sensitive. Around mid-May I decided that I needed to start working out in the morning. Why? Because working out after work, in the crazy Cabo heat, was a bit too much for me. So, I got up one morning and did Kenpo X. The next day I was tired. I don’t really TAKE naps. So I put off taking a test for several days then decided to take an old one I had lying around. At approximately 7:30 a.m. on Sunday, May 23rd C. and I found out that we were going to be parents. Then after 3 more tests within a several day period, it was confirmed. 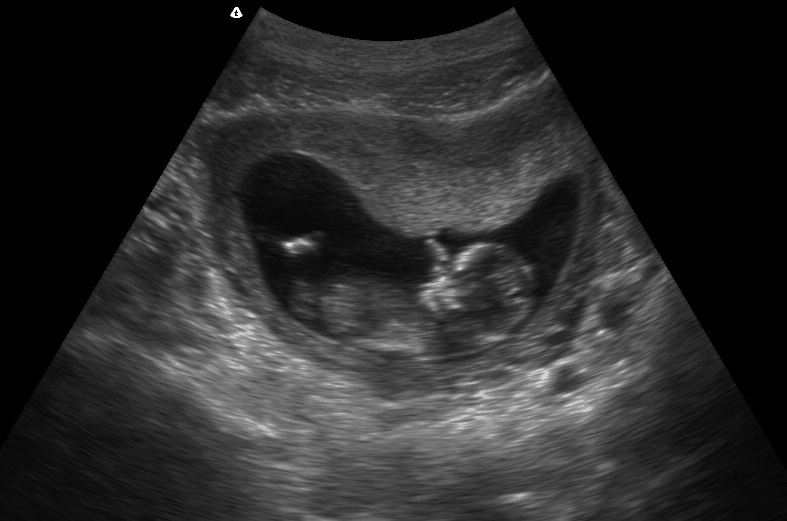 And, after we heard the heartbeat and saw the little gummy bear on the ultrasound it was further confirmed that there is definitely a little being hanging out in my mid-section. In fact, would you like to see him or her? With the aid of no drugs. And, for the first time EVER without actually trying. As it turns out, we’ve been blessed. Hugely. I am 12.5 weeks pregnant… and as you may have noticed on yesterday’s post (on the pantry door), this baby is due in 2011. On January 30th. « Who doesn’t love birthdays? Such great, happy news! Congrats! Kylee I think this is SUCH wonderful news and I am super excited for you, C., Lila, & Ferg! When I saw Stella & Lila chill’n together you could tell instantly she is going to be SUCH a great big sister and I am sure very VERY helpful to mommy and daddy with the new baby!! 🙂 I can’t wait to read all about the newest pretzel!And that shirt, well that is ADORABLE!BIG HUGS to all of you!!YAY!!!! As I am well aware… 19 months is TOTALLY doable. I have to say from experience, they will absolutely want to 'emotionally and physically' hurt each other.. sometimes they succeed at it! But here is the sweetest truth. Anna was away at Girl Scout camp, I was playing it up to Grant how it was just him and I… having so much fun (we really were)… It comes time to go home for the night, go to bed… Grant very quietly is crying, I asked what was wrong, "I missss Anna". me, "REALLY?" Grant, "I feel weird when she's not going home with us"That was such a sweet experience for me… I was floored to know that they actually do have a bond like no other…. Wow! Congratulations!!!! !My girls are 20 months apart and it's wonderful. Really, it is!Can't wait to hear more!…and LOVE Lila's shirt. Super cute. I'm so thrilled for you all I can't stand it!Love the title of the post. Hopefully, one isn't a salted. OH YAY!!! Congratulations!!! So exciting!! So exciting, friend! Looking forward to the follow-up post. YEAH!!!! How wonderful!! I'm so very happy for you and your family! Can not wait to walk through this little ones journey! So excited!! 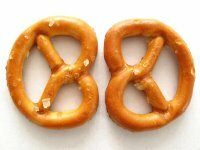 Aw, your second pretzel. Your wonderful lovely family is growing! With as much love and happiness as you guys have to share, I say the more the better!Best wishes for a happy, healthy pregnancy! Congrats to all! BIG hugs! What great news! I can't say that it doesn't come as a complete surprise, but I'm very happy for you. It's also good to know that all that you did before worked on its own this time.Great news! My ultrasound wasn't nearly as fun (nor did I get a copy! ), so since we're due the same day I'm just pretending your post is my baby #2 (hope you don't mind!) Also, where did you get Lila's shirt? It's so cute! I have to get Sautter one. I was relieved to read the posts that life with two close siblings (mine will be 20 months) is tolerable–even if everyone is just lying to be nice. 🙂 Please forward on any other encouraging words you get. 🙂 Again congrats!! Congratulations to your adorable little family! 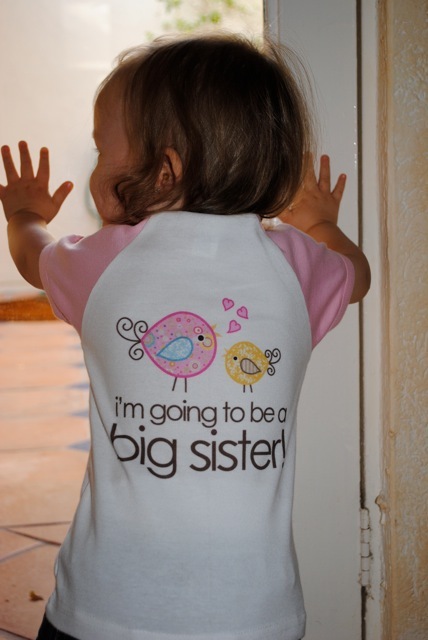 I'm sure Lila is going to be a wonderful big sister. I can't wait to read more about both Lila and her new sibling!For the record, I'm with Sarah – I think it's another girl. 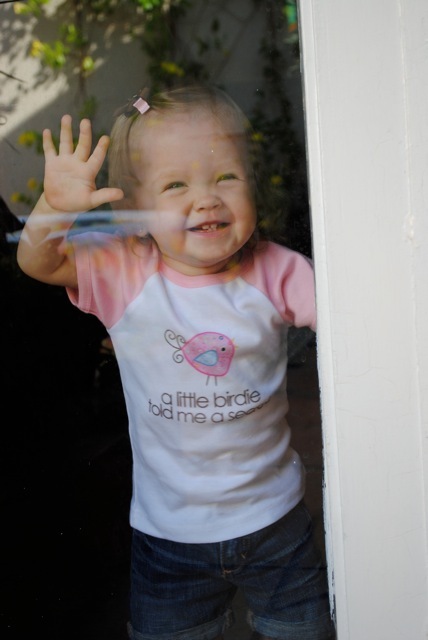 The other funny thing about Lila's adorable shirt is the fact you bought something with birds on it. Way to go at making peace with birds this year as you planned! YAY OH YAY! I am so excited for you and your little family 🙂 It's so crazy to think of Lila as the BIG sister. It's also insanely adorable. Thoughts, hugs, prayers, and good mojo from us in Ohio.PS If anyone can do it, it's you and C.
CONGRATS, K and C! So excited for you. Wow – CONGRATS! 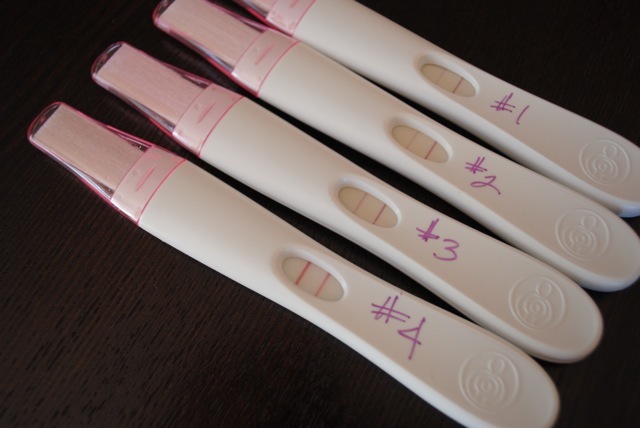 I can't imagine what it'd be like to find out I was pregnant without the OPKs and BBT and what have you. Wow. I am so happy that you got to find out!!!! Gives me hope. 🙂 Congrats Ky!! I love seeing the ultrasound. 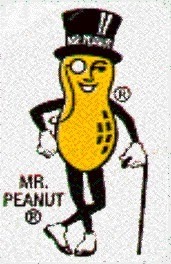 You are right, what an active peanut, so cute. Glad you are feeling well. Oh my gosh! I'm a few days behind on blog reading! HOW EXCITING! CONGRATS HUN! I'm so happy that it happened easily this time around. I've heard that tends to happen after #1!! Yaaaaaaaaay!!! I'm so late to the party, but I'm so excited for you! !This post made me tear up. What an INCREDIBLE blessing.